When the West intervened in Libya, it later turned into chaos. When the West did not intervene in Syria, it turned into chaos as well. 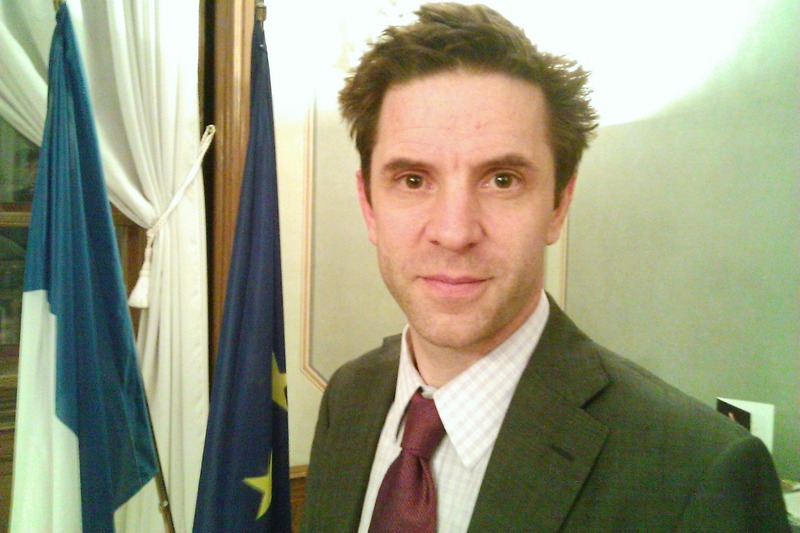 Therefore, it is hard to draw a definitive conclusion whether it is good or bad to intervene, Justin Vaïsse, director of the Policy Planning staff of the French Ministry of Foreign Affairs told EURACTIV Slovakia in an exclusive interview. Vaïsse spoke to EURACTIV Slovakia’s Jakub Šimkovi? . The attack on Charlie Hebdo led to expressions of national unity. Are there any political parties, perhaps the National Front, who were trying to capitalize on the massacre? No, not really. The sympathy grew out of a feeling that somehow two people with guns entered a newspaper during the weekly editorial conference. Shooting them, all of them, has been felt as a complete outrage by the French population, which includes a huge majority of people who did not like Charlie Hebdo. So the question was not so much whether people liked the magazine. The whole editorial committee was shot in order to curtail the freedom of expression. In 2006, you wrote a book called Integrating Islam: Political and Religious Challenges in Contemporary France. Could you simmarise it, in brief? Integrating Islam was more about Muslims than Islam per se. In the book, Jonathan Laurence and I described some of the negative trends, including social conditions, as they were revealed by the urban violence of 2005, the radicalization of a very small fringe of the Muslim population, and lingering anti-Semitism. But there were also trends that were oriented more positively. Among them was the fact that Islam (has found) its place at the table of the Republic. Whether by the official representation and institutionalisation of Islam through the CFCM (The French Council for the Muslim Religion), or by relaxing tensions at the local level – such as building mosques, which was quite impossible in 1990s and became easily doable in 2000s, or by the organization of ritual slaughter. We were saying that there was a background integration of this population, but (that) there remained a couple of black spots. Looking back, it unfortunately seems a good prediction. Speaking of integrating Muslims, can you compare their situation in France with the one in Germany or in the US? There are several differences. One of them is the number. France has the largest community of Muslim origin. We should always remember that those we call “Muslims” in the common language include people who are atheists, changed their religion, etc. Saying there are five to six million Muslims in France, we do not say there are five to six million people observant of the Muslim religion, but five or six million people with a Muslim background. Even this figure, as a proportion of the population, is higher than what you would get in Germany or in the US. With the US, there is also a distinction that the Muslim population is on average better educated and richer than the average American. In France it is the reverse. Muslims are generally in a subordinate social and economic position. They find themselves in this situation in Germany as well. There is also a distinction in where this population comes from. In Germany, they largely come from Turkey, whereas in France it is mostly the Maghreb. For the UK, it is mostly from South Asia, but not exclusively. Are there any actual recruiters on the ground in France, or is this method outdated? The way people are radicalized and recruited is twofold. One of them is through the internet propaganda, videos, magazines published by Daesh, or by Al-Qaeda online, that are actually very easy to access. This provides a network of alternative contacts for many people who start radicalizing themselves. The second important thing is through the networks of actual people. It can either be in prison or outside the prison. Outside of the prison, there are a couple of “gurus” like Farid Benyettou who radicalized a number of young who went to fight in Iraq. He was in contact with the Kouachi brothers, who committed the Charlie Hebdo attack. Of course they are completely marginal compared with the mainstream of French Muslims. They are not in mosques at all, and they live on the fringes of the Muslim community. You have said that the Kouachi brothers were in contact with someone else but, their action was described as that of a “lone wolf”. I think the expression is not very well chosen. A lone wolf would work like the Unabomber in the US. The guy was alone in the woods and was sending bombs though USPS to his victims. That is a lone wolf. A lone wolf would be outside of the community. These guys were not outside of the community, but they were not part of a larger regular organization, either. They were a sort of in between. They got part of their training from Al-Qaeda in Syria. They got training in other countries as well, they had their own small network of buddies, etc. but they basically acted alone. So they are not really lone wolves. They got help from others but they were not ordered to do so by someone. Even though Al-Qaeda in Yemen claimed the responsibility for the attacks, Al-Qaeda in the Arabian Peninsula did not send them. That is why I think the expression “lone wolf” is not appropriate. There is an increasingly strong conviction among some political figures that the unrest in the Middle East has, in fact, its roots in the Western foreign policy. Ron Paul says the Paris attacks were “blowback” against interventionist foreign policy. There is no doubt that Islamist propaganda uses different wars to blame the West, including the excesses, like torture in Iraq, and Afghanistan, the Abu Ghraib scandal of 2004, etc. In the early 1990s, we intervened in Somalia and Bosnia to save Muslims. So it’s not like the West is against Muslims. In Mali for example, we saved the population of from (Islamist) terrorists. So the accusation is quite hard to justify. Now consider this. When we intervened in Libya, it later turned into chaos. When we did not intervene in Syria, it turned into chaos as well. It is hard to draw a definitive conclusion whether it is good or bad to intervene. It depends on how it is done and what the end result is. Certainly blaming Western interventionism for all evil is farfetched. President Hollande stressed that the police managed to prevent several other attacks. Could you and your bureau estimate how many people are currently plotting a terrorist attack? I have no idea, as I’m not in intelligence, and if I were, I wouldn’t be at liberty to tell you! All I can say is that there is more than one, alas. It is a fact that there was a failure in the case of Charlie Hebdo and the attack on the kosher supermarket. On the other hand, what we don’t see are the dozens of attacks that were foiled each year by our intelligence and security services.